Dr. Mark Harper is a lifelong resident of Trenton. He opened his practice in 1979 after graduating from the University of Tennessee College of Dentistry. He’s involved in many local organizations, and is the chairman of the Trenton Special School District. In 2003, Dr. Harper completed post-graduate training with the Dental Organization of Conscious Sedation (DOCS), an accredited program that certifies dentists in the art of sedation. Since then, he has performed over 5000 procedures in which patients are responsive, yet completely comfortable. Dr. Harper's passion is helping you overcome a lifetime of dental fear; he understands that you want to be reassured and need to be made comfortable. He hopes to eliminate the barriers that have kept many families from accessing dental care, and he’s doing that with one-on-one care. Dr. Harper is known for taking quality time with each person and creating a treatment plan that meets each individual long-term need. He then proceeds at a pace that makes you comfortable. In his free time, Dr. Harper loves being near the water with his wife Mary Lynn and their two children, Lindsay and Peyton. 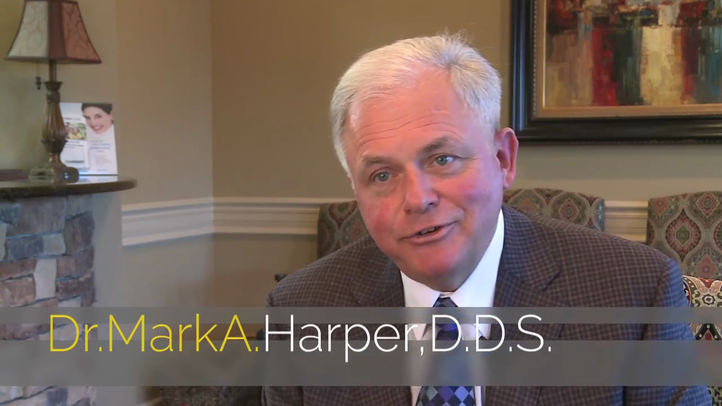 Dr. Mark Harper is a highly experienced family dentist that has been practicing for over 35 years and can provide both restorative and cosmetic services. After attending dental school at University of Tennessee Knoxville Health Science Center, he opened his practice in Trenton, TN, later opening his second location in Jackson and a third in Germantow. He is dedicated to the community and providing exceptional care that is highly individualized and makes his patients feel like part of the family.